Community starts early in the McQuesten neighbourhood, and that includes cultivating its young urban farmers through Sprouts Camp. 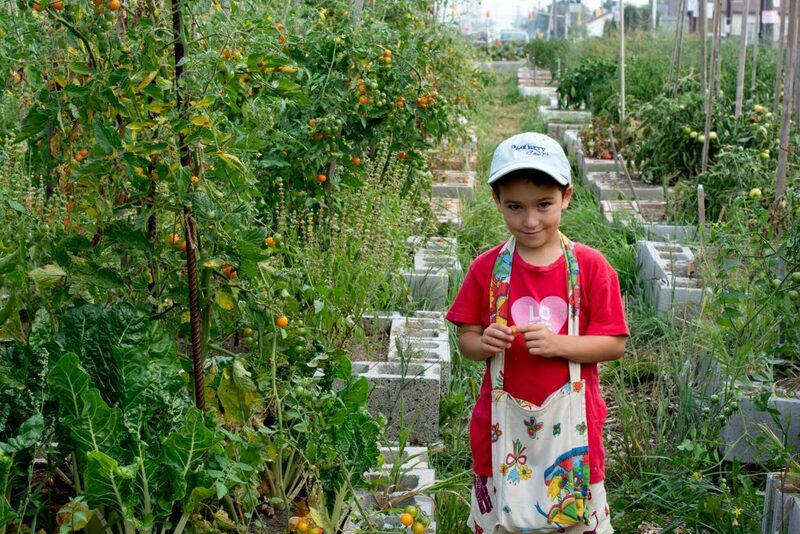 Throughout the summer, kids from this east Hamilton community attended the camp, focused around the neighbourhood’s urban farm. Camp days always included a long visit to the garden, a bounty harvest and a lesson or two about gardening and nature. An HCF grant contributed to the camp’s programming, allowing about 150 neighbourhood children to participate. The Urban Farm has started with a community garden and a learning space. The farm will be fully operational in spring 2016. Nestled behind the St. Helen Centre on Britannia Avenue, the farm is managed by a group of volunteers and yields a wide range of produce, from tomatoes to potatoes and cantaloupes to ground cherries. The farm doubled up as a hub of activity for the kids at camp. Aside from harvesting the produce, they learned gardening tips, whether it is recognizing when a cantaloupe is ripe or being aware of harmful bugs. Kids were encouraged to learn and grow by combining recreational activities with hands-on opportunities.